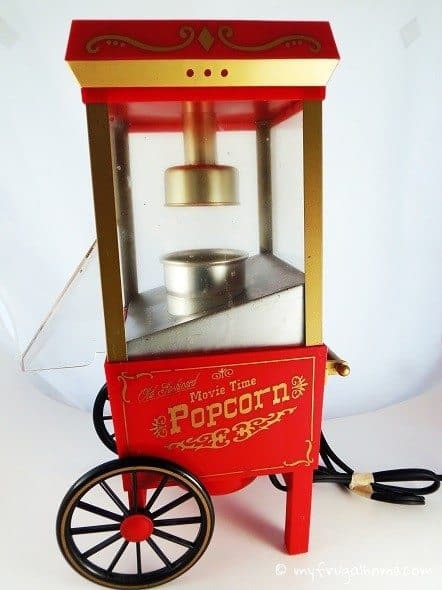 A mini movie theatre popcorn maker for $2. We host a lot of backyard movies, so this will definitely get put to good use. 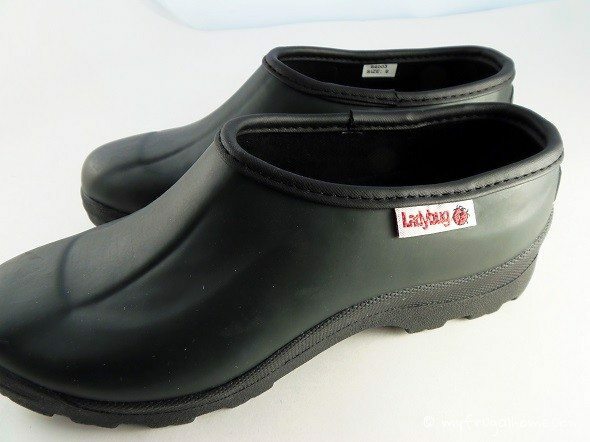 A brand new pair of garden clogs in my size ($3). These sell for $49.95 in the Gardener’s Supply catalog. I’ve wanted a pair for a while, but I wasn’t willing to pay that price. 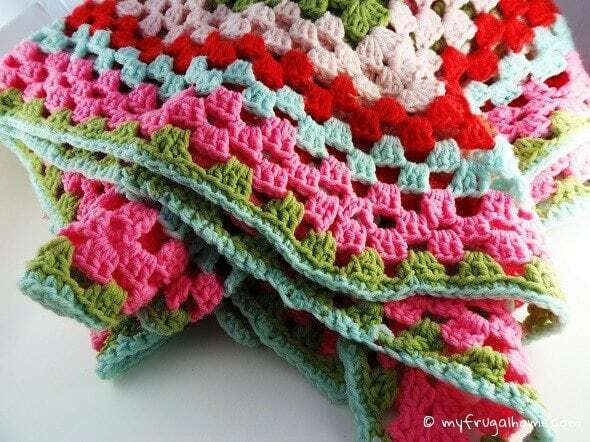 A gorgeous crocheted afghan for $6. This will either go on my youngest daughter’s bed or get used up at the cabin. I’m still debating. 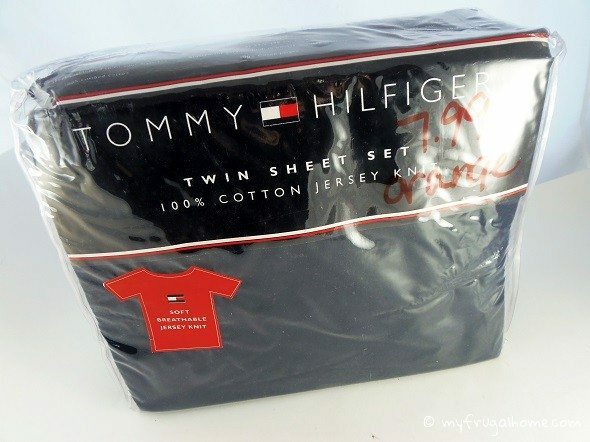 A new set of Tommy Hilfiger jersey knit sheets in navy. They had an orange tag on them (the color of the day), so they were half off. I paid $4. 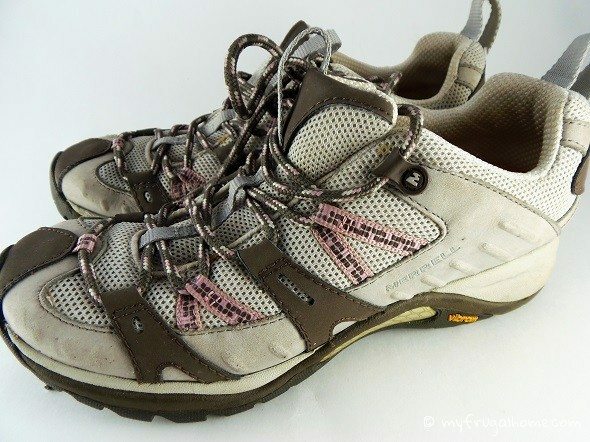 A pair of Merrell sneakers that look like they were only worn once ($3). They’re a 6.5, so I’ll add them to our shoe stockpile until my oldest daughter grows into them. 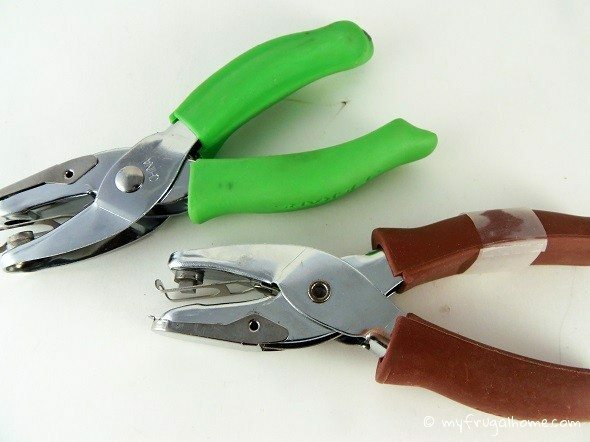 Two hole punches for $1.75. One punches squares, and the other punches ovals. 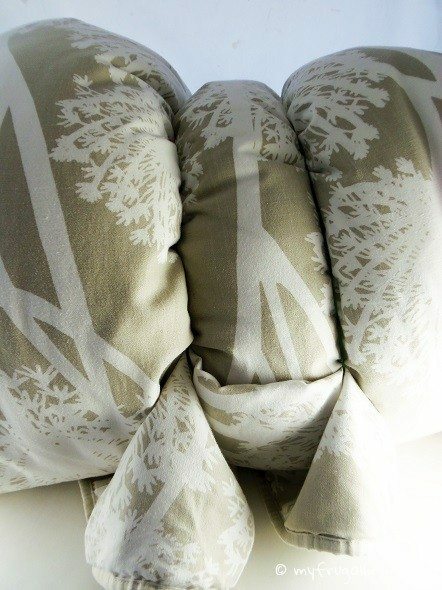 A queen duvet set with the cover, comforter and two shams for $6. This is destined for my oldest daughter’s bed. 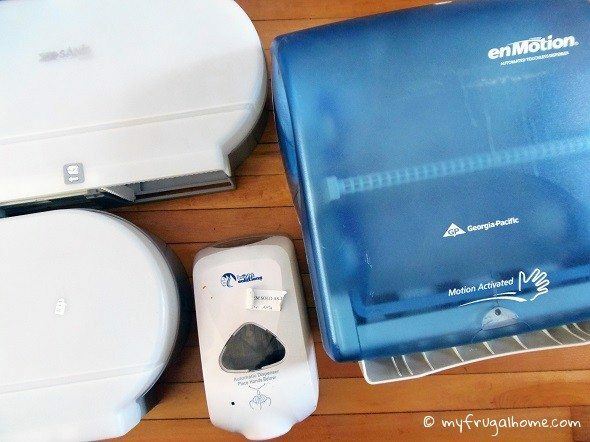 Two commercial toilet paper dispensers ($3 each), an automatic paper towel dispenser ($5) and an automatic soap dispenser ($1). We need to fix up our bath house at our weekend homestead this summer, and I plan to use them in there. Pretty amazing haul, don’t you think? With the snow keeping everyone home the last couple weeks, there were lots of goodies to cherry pick. So, I guess that’s one good thing about this yucky weather. Love your blog! Had my first curb find this weekend–a sturdy wooden Ikea chest of drawers.